For some, invoking the name of the Mutant League series of games brings back fond memories of raining death upon an opposing team in football, or dismembering a hockey player, or possibly even an animated series. 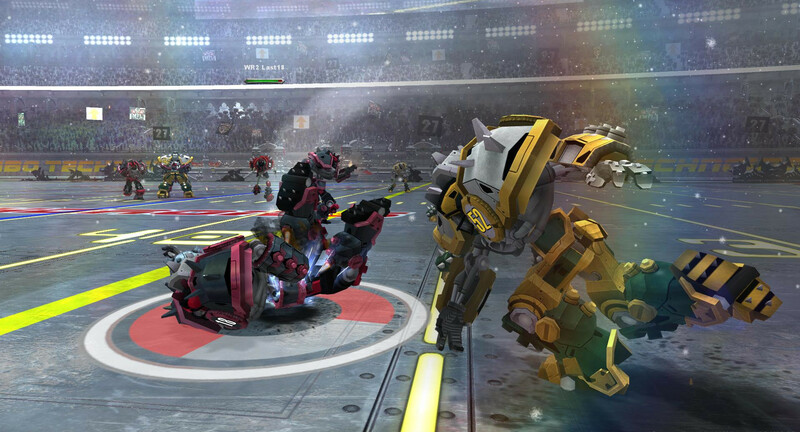 For its creator, Michael Mendheim, it's a little bit more and after 20 years out of the limelight, he intends to bring it back with Mutant Football League. We spoke with Michael about reviving this title and what makes it fun. 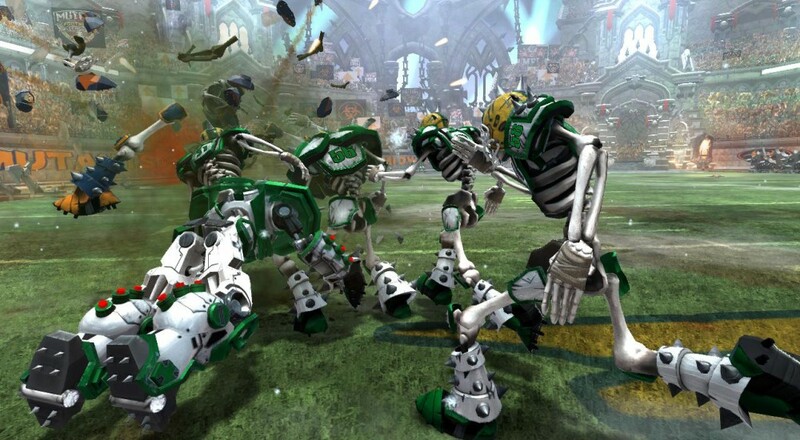 Co-Optimus: Thanks for taking the time to speak with us about Mutant Football League! For those who may be unfamiliar with the title (or the original Mutant League Football), could you provide a quick overview of the game, its modes, and features? Michael Mendheim: Mutant Football League is an arcade-style action sports game where wisecracking Monsters and Mutants take the field to battle it out in the most violent game ever played. The game is a funny but brutal parody of professional football. Think NFL Blitz with mutants, chainsaws, and deaths. This is a single and multiplayer game (2 to 4 players). There are 20 vicious teams are made up of a variety of fully 3D characters including: Skeletal Deadheads, Sentient BattleDroids, Criminal Aliens, Bio-engineered Super-Humans, and Monstrous Orcs. I is a game to be played with friends, so we're bringing online and offline multiplayer for 2 to 4 players - competitive and co-op - so you can laugh at your friends while you crush them under your cleats, or team-up and destroy all who dare challenge you. Players can punch, pass, and kick their way through large stadiums packed with crazed and obnoxious weapon-wielding fans cheering their teams on! The playing fields are strewn with diabolical hazards, booby traps, and debris such as land mines, toxic moats, thin ice, and lava flows. No two fields are the same and they’re all deadly! In the game there are special plays called Dirty Tricks. These are nasty, mean, unfair, and lowdown plays intended to devastate the opposition, and if that doesn’t work, kill them. Each team has its own set of twisted audibles such as the classic "Bribe the Ref" where you payoff the referee to look the other way, or new additions like "Chainsaw Massacre" where your runningback pulls out a league-approved chainsaw and slices and dices the defense into submission, and "Ginormous” where your blitzer grows 5-times his normal size - have fun trying to block him! Co-Optimus: While the game is remembered fondly by a dedicated fan base, 20 years is still a long time for a title to be out of the spotlight. Why bring it back now? What was the tipping point that convinced you it was the right time? Michael: This idea all started at MLF’s 20th anniversary back in 2013. At the urging of the MLF community we thought it would be a good idea to bring the game back and tried running a Kickstarter, but that didn’t go so well. We wanted to make a mobile version of the game but we hadn’t started development, so our Kickstarter campaign didn’t have a game demo video (we just showed concept art of what we were planning on making). The campaign failed for a number of different reasons but the community rejected the idea we presented. Once the campaign ended we took some time to rethink everything. While our Kickstarter did fail, we still had raised well over 140k in pledges. The community feedback was blunt and clear, they wanted a new MFL game, but they wanted a console game and not a mobile game. So regardless of our initial failure we decided to give it another go and this time deliver what the community wanted. I don’t know if this is the right time or not. All I know is that it’s been an uphill battle for us. That being said, we have a burning desire to make this game and with the support of our community we’ve built something really cool. We believe this is a concept which will resonate with die-hard fans of the original game and a new generation of game players who have never even heard of Mutant League Football. What we have now is a really fun game that’s going to make you laugh. Page created in 0.9038 seconds.